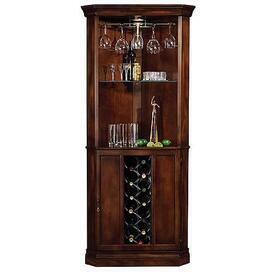 Wine & Spirits Cabinets On Sale! Family Leisure has the largest selection and lowest prices on tope selling items from American Heritage and Howard Miller. 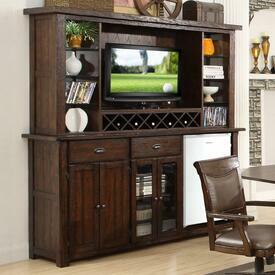 Add elegant storage without building a cellar! These cabinets not only provide wonderful storage in sophisticated packages, but many will help control sunlight, temperature and humidity just like a climate-controlled wine cellar in Napa Valley. We have a wide variety to choose from by the best in the business. Add a small option that can easily fit into a smaller space, or obtain a large heirloom-quality piece with artistic features and antique looks. 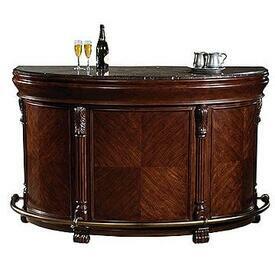 Many of these models follow traditions from the history of furniture, with hardwood veneers and finishes, metal scrolled leaf insets, turned legs and other historic features. 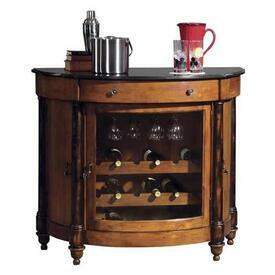 Choose a new wine cabinet that showcases an old-fashioned feel loaded with modern amenities; one model features front doors with herringbone-cane patterns that recall British Colonial furniture, yet offers automatic lights and power strips for small appliances. 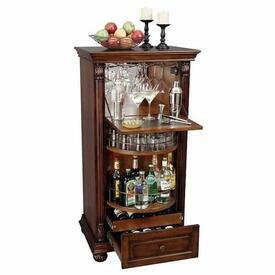 We back all of our Wine & Spirits cabinets with our Satisfaction Guarantee and at Family Leisure, service is our #1 priority!